At the southern tip of India, the State of Kerala is generally not on the top of the list for first-timers to this vast country, but it is growing in popularity for good reason. Palm trees, tea plantations, backwater excursions, mountain hikes - this tropical region of India, settled (or conquered) by Syrian Christians, King Solomon's Jews, Portuguese Catholics, Dutch Protestants, and of course the British, has been more diverse in population than any other area of the country. 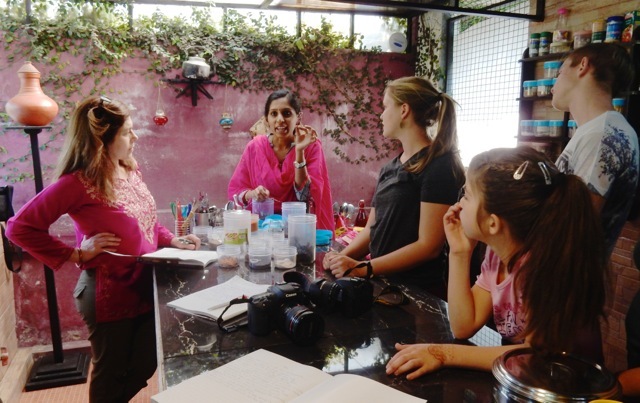 And because taking a cooking class enhances any visit to a foreign land, I've included information about the award winning cookbook author, Nimi Sunilkumar, who has opened her home in Munnar to foodies eager to learn about, and create, the foods of Kerala. This mountaintop town, a favorite vacation spot for Indian nationals, is becoming more and more popular among foreign tourists as well. Truncated tea trees swath the hills in vineyard-like patterns - and its here you'll see (mostly) women working hard to harvest the leaves. 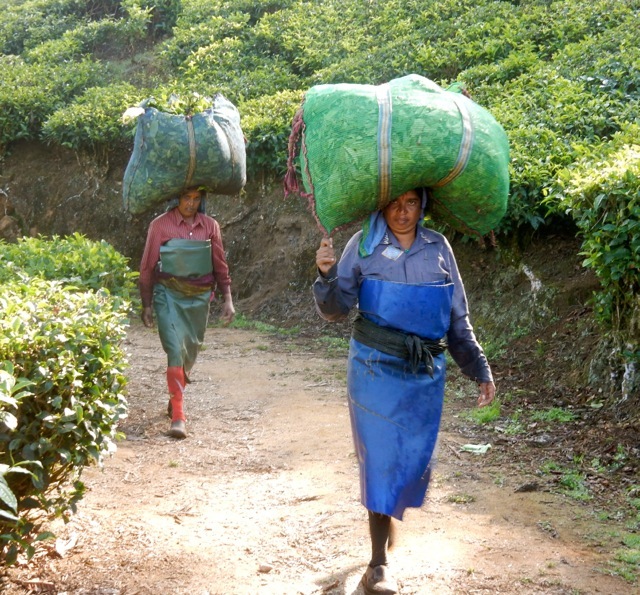 It's arduous and laborious work, and makes you think twice about the source of your green and black tea. 1. 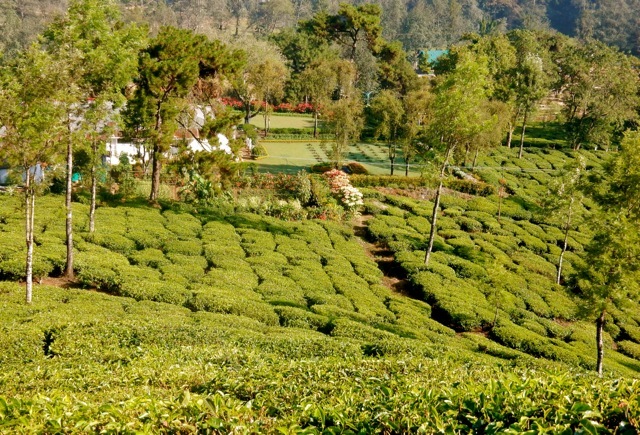 Hire a driver to take you to the staggeringly beautiful Tea Plantation mountaintop town of Munnar. It's a 100-mile 5 hour drive (from the Cochin Airport) up sometimes terrifying switchbacks - especially harrowing when local buses come careening down from the other direction, seemingly without brakes, forcing you to the brink of hundred plus foot cliffs. 3. 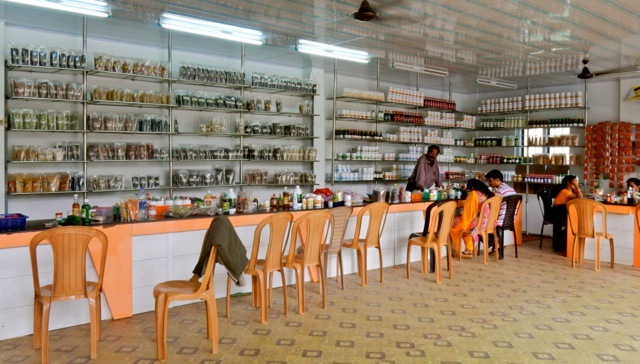 And Spice Shops chock full of herbal medicinals that promise to treat anything that ails you. 4. Arrange a guided hike through the Munnar Tea Plantations. Impressively sturdy women still pick tealeaves by hand, sometimes using shears ("machines") to clip bunches at a time. These workers must wear heavy, hot protective aprons to keep from being lacerated by tea tree branches as they climb up and down nearly vertical hills, carrying heavy bags full of leaves on their heads. I was in complete awe. 5. 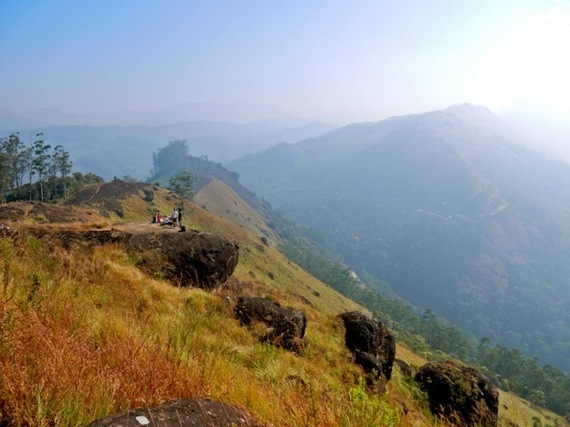 Hike upward into the mountains of Munnar - the views from above are spectacular. 6. 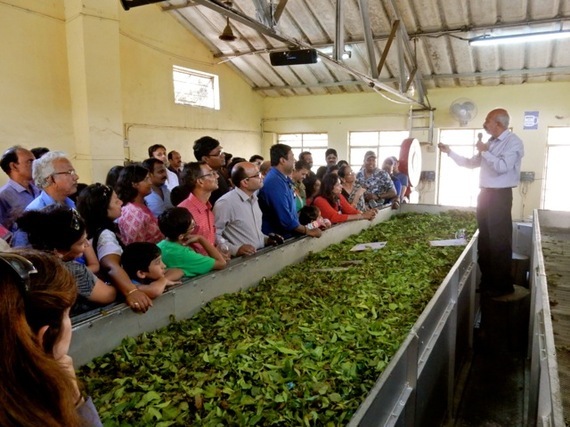 Visit the Munnar Tea Museum for an overview of the local industry that put this town on the map. 7. Soak up the flavors of Kerala though a Cooking Class with "Nimi's Culinary Adventures" right next door to the Munnar Visitor Center. When Nimi Sunilkumar's first self-published cookbook, Lip Smacking Dishes of Kerala, (full of recipes she created to satisfy her picky husband) was chosen as the #3 Best International Local Cuisine Cookbook several years ago, this unassuming Munnar housewife became famous practically overnight. The talented Nimi continues to be interviewed for international publications and was showcased by the website, Hooplaha, on this YouTube video. As Nimi is gaining fame quickly, catch this rising star while you still can, by signing up for a cooking class in her modest one-bedroom home. 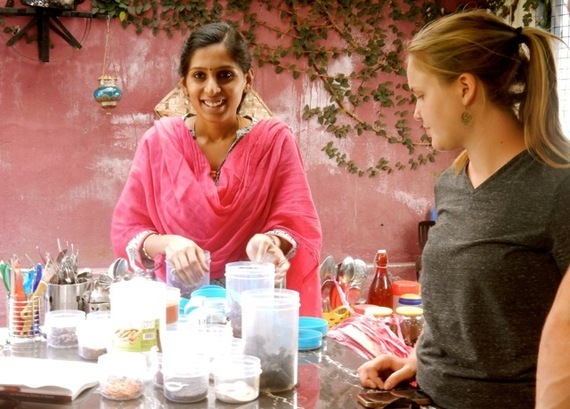 From 2pm until you finish eating the dinner you helped cook (4 or 5 hours), you'll learn all about Indian spices and learn to cook the dishes that locals love. Up to 8 people at a time, 2,000 rupees (about $30 pp). 8. 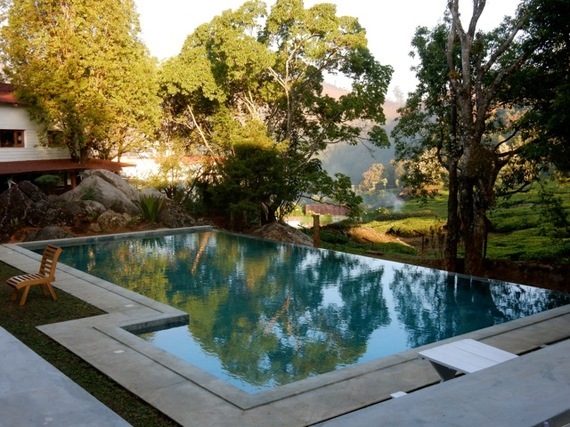 Stay at the Windemere Estate, Munnar. On the mountainside overlooking the tea plantations, this Indian Heritage Hotel is just one of over 100 hotels in Munnar - but among the most exquisite. Climb a rock outcropping right outside your guestroom door to watch the sunrise over the hills first thing in the morning, or take a dip in the pretty pool at sunset. There's a restaurant on site - so you don't have to leave. Ever. And you may not want to. 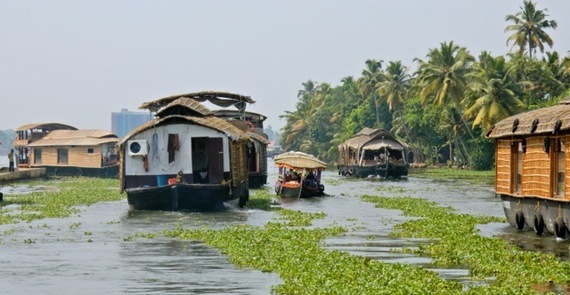 A port city on the Spice Route where traders from many nations intermingled, Cochin has always had a global presence. Walk through its old streets to learn the history of this diverse town. 10. Santa Cruz Cathedral - the first Portuguese Church built in Cochin on this site in 1506 - and rebuilt in 1558. 11. 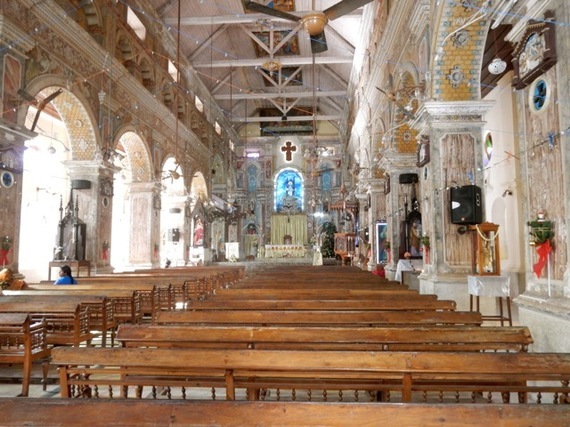 St. Francis Church - where Portuguese explorer, Vasco Da Gamma was buried in 1524. (Years later, his body was moved back to Lisbon). 12. 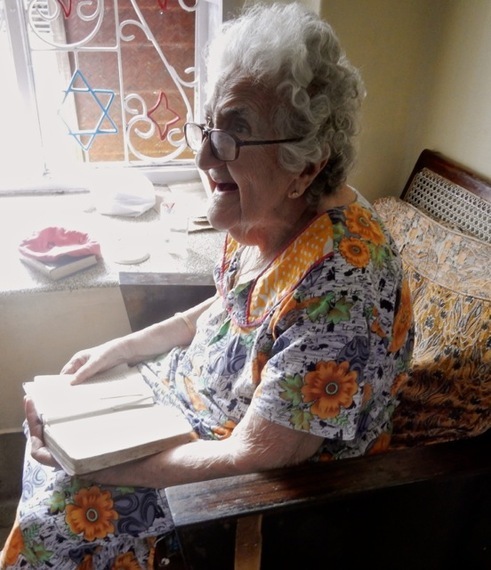 Jew Town, where, at Sarah's Hand Embroidery Shop, you'll find Sarah Cohen, one of the last 5 remaining Cochin Jews, purported to be 102 years old. It's been said that Cochin's Jews arrived "with King Solomon," but the bulk were descendants of Spanish, Dutch and other European settlers. Most of Cochin's Jewish community moved to Israel in the 1960's leaving just a few behind. 13. Paradesi Synagogue, built in 1568 with a magnificent floor of Delft Tiles and stunning interior. 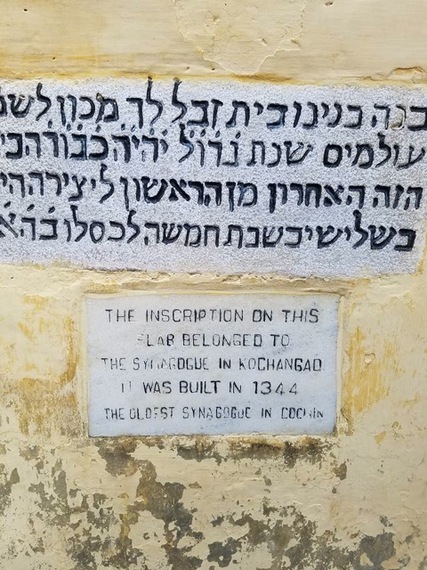 Still operating as a house of worship, Paradesi was one of 7 synagogues in Cochin. Remains of one of the first constructed in the mid-1300's can be found among artifacts here. 14. 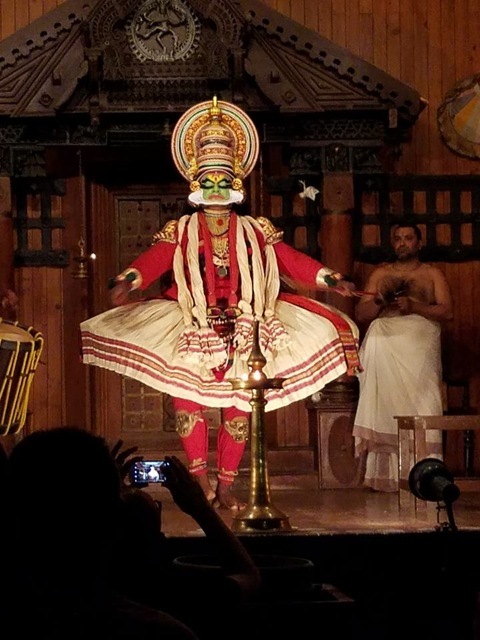 See a Kerala Kathakali presentation at a Kerala Cultural Center. An extreme, and much more colorful version of Japanese Kabuki, this form of ancient storytelling involves vivid make up (applied by actors right on stage prior to the performance), exaggerated facial expressions and muscle control, and outrageously designed costumes, in a performance syncopated to the beat of drums and chimes. 15. Stay at Xandari Harbor Hotel. 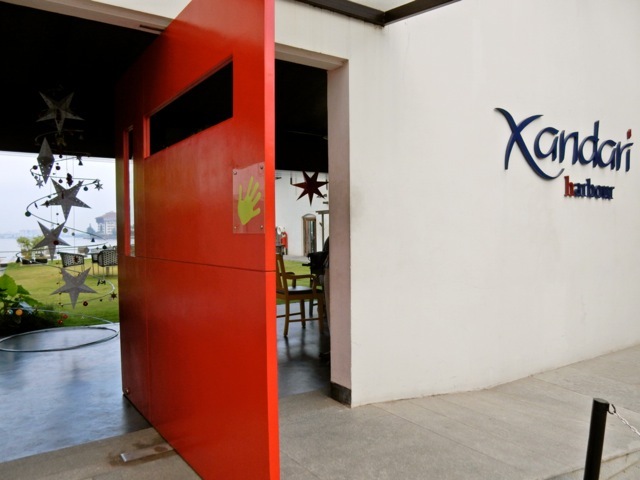 Right in Fort Cochin, streets are dusty right outside the big red pivoting door of the boutique Xandari Harbor Hotel. Walk though it, however, and you're in another world, with a serene waterfront courtyard, infinity pool, trendy restaurant and chic poured-concrete floored rooms. Hidden, unexpected and very, very lovely. 16. Rent a Houseboat and Crew for a few hours or a few days (e.g. on the first-class Xandari Riverscapes). These luxury houseboats plow through waterways awash in clusters of floating hyacinth. You can take in views of riverside homes, other boat traffic and this transcendent scenery while the Captain does all the work. This is a "must-do" experience even if you plan to stay in a lakeside resort. 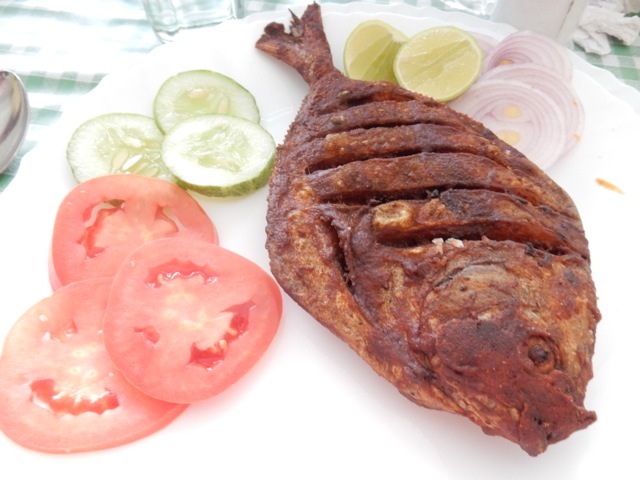 Arrange to take the boat from Cochin to Vembanad Lake, about 10 hour trip, and book a fresh-cooked lunch onboard. If you want to spend nights on the houseboat, several rooms, each with their own bathroom, are luxuriously adorable. 17. 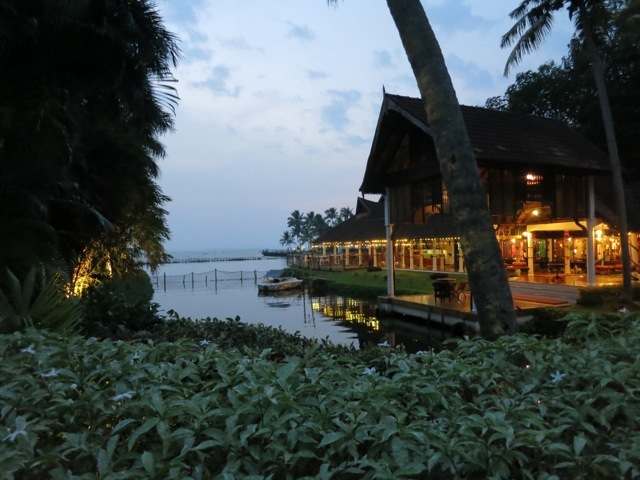 Stay at Kumarakom Lake Resort, on Lake Vembanad, Kerala. On a mission to get to that book, finish your knitting, or just chill out on a hammock for awhile? 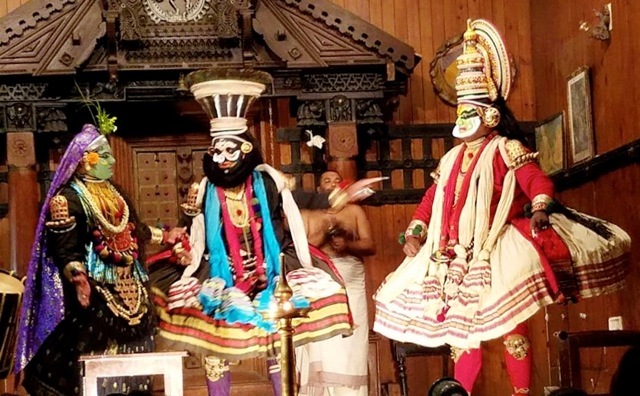 You can accomplish all, as well as take advantage of a host of cultural activities (such as henna painting, pottery), in this luxury lakeside resort beloved for years by romantics of all ages. Bungalow rooms open onto one large meandering swimming pool (so fun to swim to your friend's room a few doors down), two restaurants serve excellent food, and there's an Ayurvedic Health Spa right on premises. Spring for an invigorating oil-saturating massage (or two or three), and you'll forget the outside world for a while.